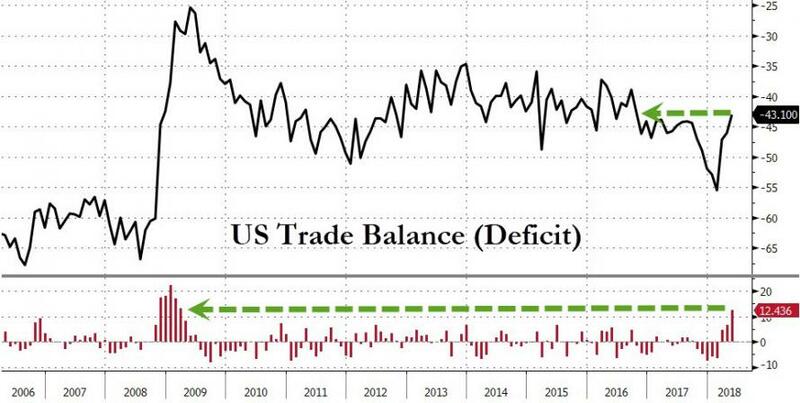 US Trade Deficit Plunges Most In 10 Years - Is Trump Winning? 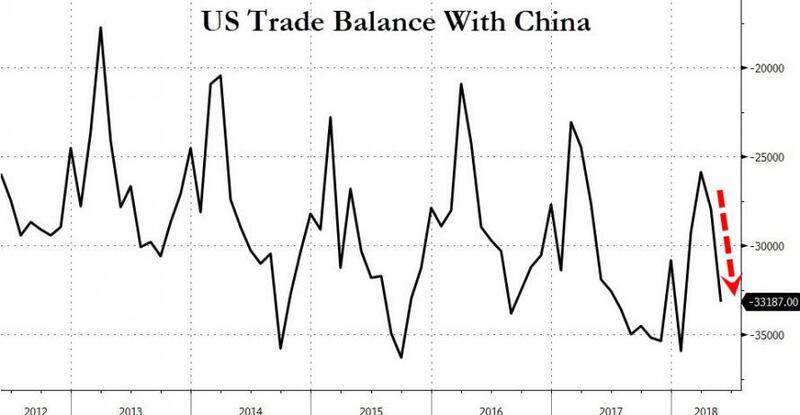 Confirming the advance trade balance, it could be argued - by those of a particular persuasion - that Trump's trade policies are working as the US trade deficit has collapsed to its lowest since September 2016. 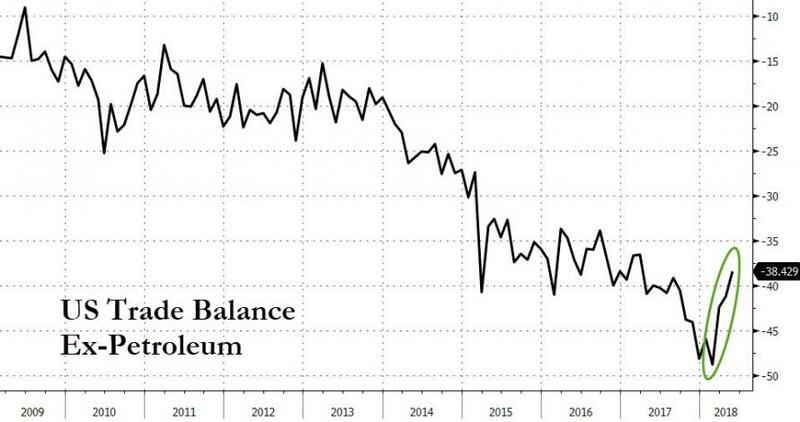 The US trade balance for May printed a smaller deficit than expected at $43.1 bn (vs $43.6bn exp) and well down from the revised $46.1bn in April. This is the lowest trade deficit since October 2016 and biggest 3-month reduction in the deficit in 10 years. Exports of goods and services climbed to a record high, outpacing a pickup in imports. Under the hood, the biggest driver of the improvement was US soybean exports rose 90% MoM in May, which looks like pre-emptive buying ahead of China sanctions, and is likely reversed next month. Overall exports increased 1.9 percent to $215.3 billion as soybean shipments overseas almost doubled to $4.1 billion. Exports of civilian aircraft, a category that tends to be volatile, rose $1.9 billion in May. Imports rose 0.4 percent to $258.4 billion, boosted by a record value of capital goods shipments from overseas. However, the report also showed the trade gap with China, the world's second-biggest economy, widened to $32 billion in May from $30.8 billion. This is the biggest trade gap with China for a May since records began. We would expected to see GDP models updated positively shortly as improvement in the trade gap may be a positive for second- quarter growth.